Three years ago, today, I learned about congenital heart defects. I learned that a human being didn't require a whole heart to live. I wish the doctor that first diagnosed Zoe had a crystal ball instead of a medical textbook opened to the "critical aortic stenosis" page. Had that doctor been able to relay all that our family has been through - both the triumphs and tribulations - I most certainly wouldn't have believed him. Three years ago, today, I never could have imagined our lives as they are now. Zoe's Heart changed everything. Literally. Some days I'd do it all over again if I had to; some days I can't take any more. I can swing from pure anger to pure joy in a manner of minutes. It's a bipolar existance, really. December will always be an emotional month for us. It's the month (three years ago) we met our miracle workers. Dr. John Stock who led us to Philadelphia and follows Zoe in Arizona, Dr. Anita Szwast who we lean on for Zoe's most critical times and Dr. Thomas Spray... well, he's the miracle worker who's reconstructing her tiny heart. We were told he was the "world's best" and I've seen his handy work manifest in Zoe for the past two and a half years. The second half of my day today, as the clock approached 4:30 p.m. (the approximate time we learned that our baby would have to fight like hell to live), I fell increasingly silent. It's nearly impossible to explain how vivid that moment is, and how easily I can recall it in my mind. I played the diagnostic memory out in my head, ever-so-briefly, today. That day and the days that followed were devestatingly hard. Those days of devestation is what keeps me working like crazy for Sisters by Heart. Life has thrown me some significant curve balls, but I will never stop swinging. As Caleb and I said from the beginning of this journey - "Whatever it takes..."
We're proud of our little family - of how far we've come in the past three years. This afternoon, right about 4:30 p.m. as we were shopping at Target, a man walked up to us and said, "This might sound really crazy... you don't know me, but I know your family well. I've been following you guys for some time through your blog." We chatted for a few minutes. We introduced him to Zoe. The timing couldn't have been more perfect. Three years later, almost to the hour, a complete stranger was brought to tears, in public, sharing in our journey, speaking of Zoe's incredible inspiration. Thank you, Chad. It was a pleasure meeting you. Your timing was impeccable. This weekend, we had an opportunity to visit and tour the CBR facility down in Tucson, Arizona. We're big advocates for cord blood banking, and banked both Emerson and Zoe's cord blood. By the time Zoe was born, we also chose to bank cord tissue (rich in the type of stem cells used to regenerate damaged heart tissue in adults suffering a heart attack.) We asked a few of her treating physicians about banking; all informed us there was no stem cell therapy for HLHS at the time, but "who knows what we'll be able to do 10 years from now." With that, how could we not bank? Less than 3 years later, we're already seeing progress with HLHS and stem cell research. The girls weren't half as interested in touring the CBR facility as Caleb and I. They couldn't care less that their stem cells were being stored in "dewars" containing liquid nitrogen, or that the backup generator for the entire facility was ginormous, or that the lab which processes all incoming stem cells was on the second floor, or that the cells inside the dewars have already given hope and life to hundreds of families. Zoe made her disinterest abundantly clear during the near 45 minute tour. Thankfully, before the tour, we were able to get photographs of the girls in front of their "dewars" which stores their cord blood/tissue. But of the physician who collected Zoe's cord blood and tissue, Dr. Victor Zachian at the Children's Hospital of Philadelphia. I sure hope Dr. Zachian's hard work on May 11, 2010, in pulling the cord blood and collecting a cord tissue sample, pays off down the road. The area where the dewars are stored is quite impressive. Each dewar holds over 8,000 samples - that's a whole lotta hope inside one dewar! At the end of the tour, I caught a glimpse of Zoe staring at the dewars. I hope she was willing medical advancements at that moment - so we can use her stem cells to someday strengthen that half a heart and keep it beating strong inside her tiny chest. Ok, so I realize it's been ridiculously long since I updated... Things are a bit busy. Far too busy. I've come to the realization (with some help from others) that I tend to keep myself over-booked so that I don't have time to "think." When there is quiet time, it's a bit scary. In those quiet moments, I actually have time to turn around and stare the boogie-man in the face... HLHS. When I'm busy advocating, working, volunteering, being mommy to two rambuncious girls, etc. I can fill my mind with "other" things. It's much easier that way (or so it seems.) It's been suggested that a concerted effort to breathe once in a while and face the realities of Zoe's heart defect might be a wise choice. I have an uncanny gift of disassociation. Don't get me wrong. I'm faced with it every day (the scar taunting me when changing Zoe's clothes or giving her a bath, when holding her cool hands or seeing her blue fingernails) but those cues are easier to register tangentially than the realities of what those cues really mean. 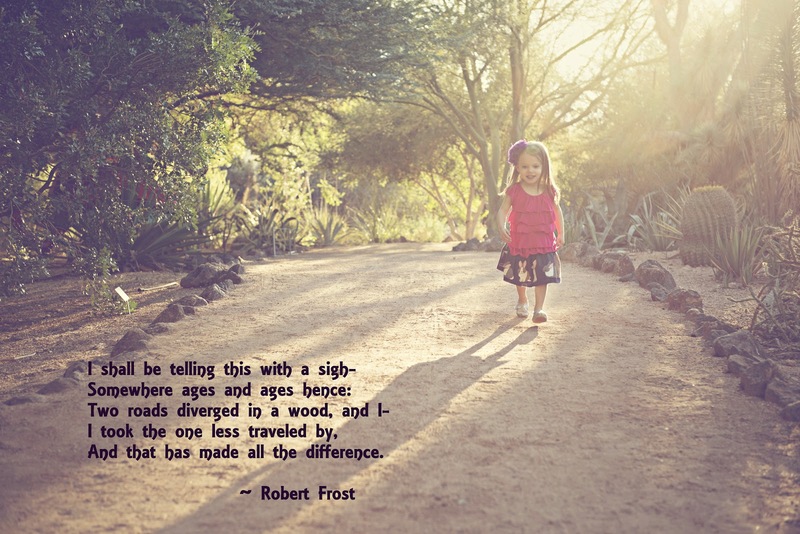 With Zoe's next open heart surgery, a year or perhaps two years away, I like to forget. Forgetting, however, doesn't assist in the grief process (which never really ends with HLHS families.) Grief starts the day of diagnosis and continues throughout our entire lives. It's hard work. It's exhausting. So, I fill my day with "others." One of my most favorite "others" is politics. I'm so extremely relieved that President Obama won re-election. It means a heck of a lot to our family, and so many families I've come to know and love. 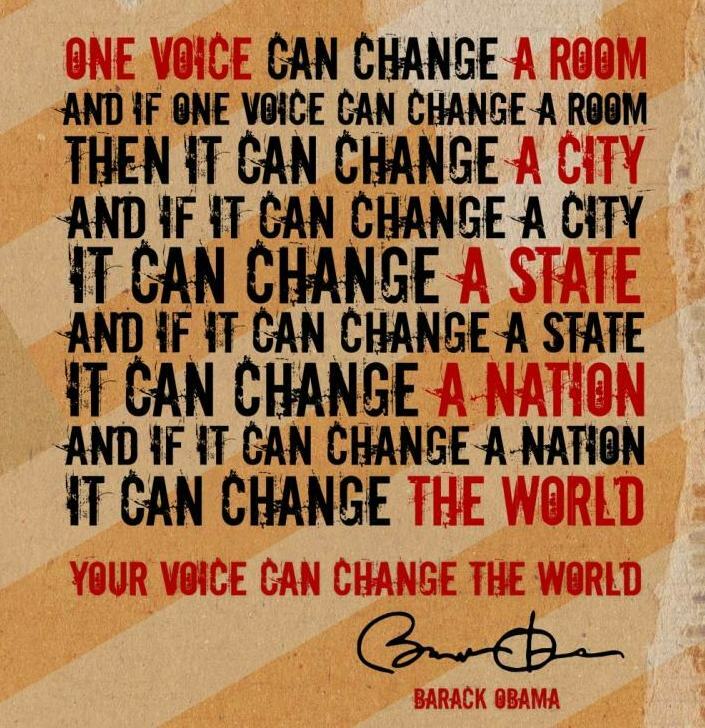 Even the ones who don't realize (yet) how beneficial the next four years will be with Obama as our nation's leader. I'm ecstatic, proud and so honored to have played a small role in the campaign. The second best part about Obama's re-election: my conversation with Emerson the morning after Election Day. She asked many questions, particularly geared towards those who were "sad" about the election results. It was so nice to have an opportunity to talk to Emerson, my four-year-old, about what it means to be respectful, humble, to live with humility, and talk to her about what it means to live in a democratic nation. I think the next four years will be a great learning experience for all of us, our children included. The last few days, it's been much cooler in Phoenix. And the girls couldn't be happier to get outside! With fall here, that means flu shot time. Zoe, of course, thought the shot was a breeze. Emmy, not so much. I had to promise her frozen yogurt afterwards just to avoid a complete meltdown. Zoe, non-stop, asks to go outside and for a wagon ride. She wants to play at the playground, kick the soccer ball - heck, anything but be trapped inside. With falling temps, who can blame her? With fall break from preschool, Emmy headed up north to the cabin with my parents this weekend. 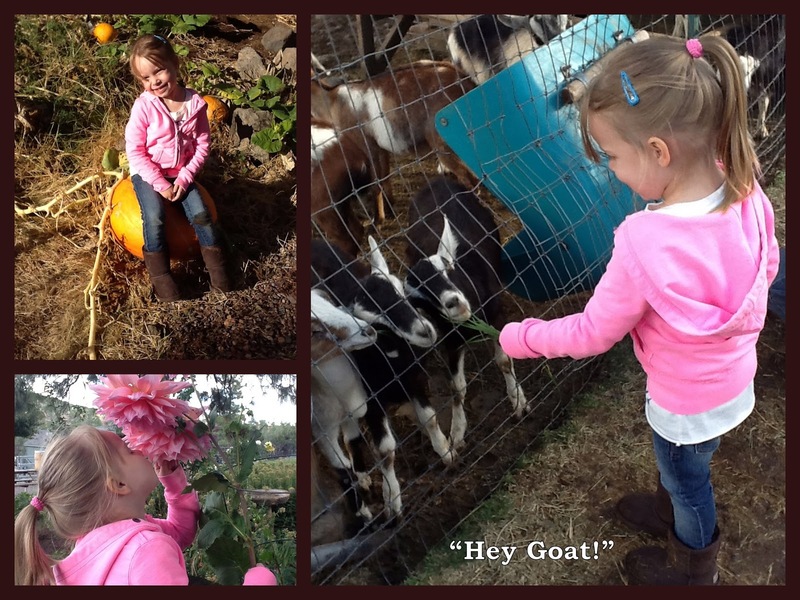 We've been getting photos on her whereabouts... as if we doubted she'd have a blast with Papa and Grandma. While Emmy's been enjoying herself in the cool pines, Zoe is enjoying herself too. She really is a riot. Here is her first experience kicking the soccer ball around at the park. Go figure, my little half-hearted diva would be the one to take to soccer - and dribbles like a champ with no coaching! And I'll leave you with a few really fun pictures of the Lihn girls at the annual HopeKids photoshoot. We love HopeKids and all that they do for families like ours! Yep, it's that time of year again. We're ramping up for the 2012 Phoenix Congenital Heart Walk. 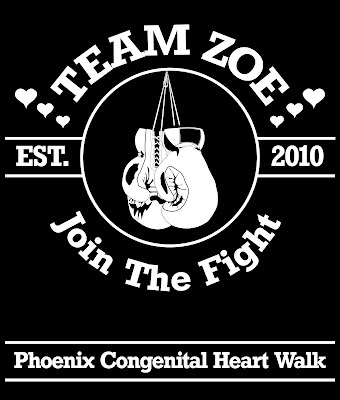 This year, Team Zoe is going with a "FIGHTER" theme. Because, well, Zoe's one heck of a fighter. I'll need all orders by October 16th to ensure printing and delivery in time for the walk on November 4th. You don't have to walk with us to purchase a shirt. 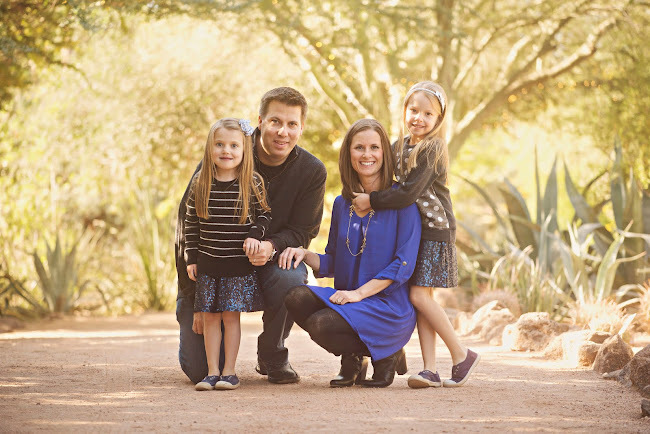 BUT, we'd love to have you join us on November 4, 2012 in Tempe, Arizona if you're available. We're hoping to make this year the biggest yet - both fundraising and participant wise. 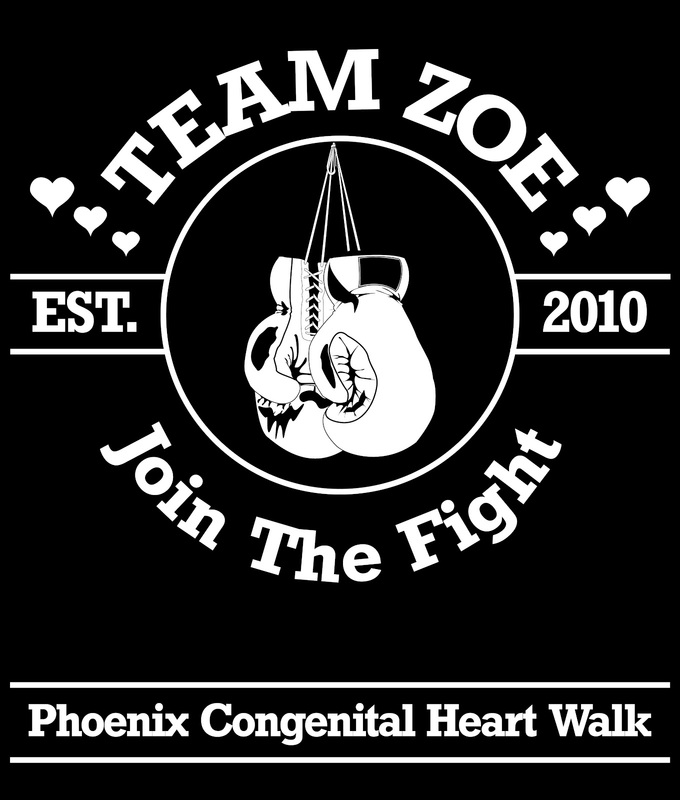 To sign up for the walk, click here or to make a donation to Team Zoe, click here. Donations will benefit the Children's Heart Foundation/Adult Congenital Heart Association and are tax deductible. When donating, know that you are making a difference in the lives of those living with Congenital Heart Defects (CHDs). With awareness comes funding. With funding comes research. With research comes hope. With hope comes life. As you can tell, from the lack of posts, the Lihns have been a tad bit busy. As many of you know, this past week, our family traveled to Charlotte, North Carolina for the Democratic National Convention. It was an honor to be asked to participate in the convention and share our family story and the importance of the Affordable Care Act on our family. For those of you following my Facebook posts, there was a bevy of surreal moments throughout the week at the DNC. In fact, there were so many, I decided to create my own Top 28 (couldn't narrow it to 25) Surreal Moments from DNC 2012, in the order in which they happened. 1. 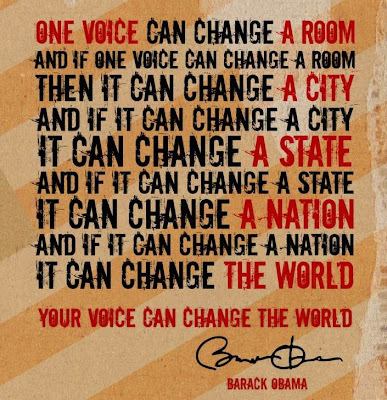 Shortly after I learned I would be speaking at the DNC, I was contacted by one of President Obama's speechwriters. Yeah, one of the President's speechwriters! We discussed the content of my message and I stressed that I wanted to mention the prevalence of congenital heart defects, to help raise awareness on a national stage. Fortunately, the speechwriting team, allowed me to craft nearly 100% of my speech, hence the "1 in 100" reference to Congenital Heart Defects! 2. As part of the process, I went through a rehearsal, several hours before my speech with Obama's speech team and other campaign officials. I recited my speech, with the assistance of a teleprompter. There was a lot of emotion during my run through, so much so, that I started sobbing at the end. After I regained my composure, I learned that there wasn't a dry eye in the room. That gave me immediate validation that the speech was powerful and effective. In fact, one of the lead campaign officials walked up to me, told me about her daughter's heart defect and open heart surgery and asked me for a hug. A more detailed discussion of the behind the scenes process of my speech can be seen in this Jansing and Co. clip. 3. After rehearsals, I was taken into the arena and was given an opportunity to view and stand on the convention stage. This helped me visualize delivering my speech. At this point in the day, the podium was still in another area, being kept under lock and key. After some discussion, I was allowed to go even further behind the scenes to see the podium. Security was very tight! 4. After rehearsal, I was told to meet back at the Time Warner Arena at 7:15 p.m. Once there, we were guided to the basement and into the green room to prepare. One of the first orders of business was to get makeup done. Caleb went first and in addition to face and neck makeup, had his hair touched up. I went next, and was seated in a chair next to Kal Penn, who gave a speech after me. Emerson was brought in next and they put on powder and lip gloss, she was so excited. Zoe was asleep, in her stroller, during this process, but she woke, on her own, a few minutes before we were summoned backstage. As we were walking out the door, they threw some quick powder on her face. 5. As I entered the makeup room, Kathleen Sebelius, Secretary of Health and Human Services, approached me, gave me a hug and thanked me, prior to my speech. I still have no idea how she knew who I was! I, of course, took the opportunity to thank her for all of her efforts in raising CHD awareness and recommending pulse ox screening for all newborns. 6. Obviously, delivering my speech was the reason we were in Charlotte for the convention. For those of you who know me, Obamacare is of imperial importance to my family. Anything we can do to advocate for the law is a civic duty we will fully embrace. The opportunity to do so, in front of millions of people, was a once in a lifetime opportunity. We were honored and humbled to be asked to be there. 7. While backstage and giving my speech, I felt energy from the far too many heart angels who lost their battle too early. I've known too many to name, but I kept several of them - Mia, Travis, Gwenyth, Cora, Emma, Hayden - on my mind during my speech and I literally felt their collective spirit on stage with me. 8. Immediately after my speech, we went backstage and received hugs and compliments. I was told we received a standing ovation. I was definitely a little surprised at the crowd's reaction. As we were leaving the backstage area, Craig Robinson, Michelle Obama's brother, was entering, as he was about to give his speech. He looked over at me and said "great speech!" We went down the steps towards the green room, and Rahm Emmanuel walked out, preparing to head backstage for his speech, shook my hand and complimented me; he also shook Caleb's hand and told him he did a great job as a father "standing there." Tammy Duckworth, who gave an emotional speech, two speakers before me, congratulated me on my speech. When Caleb went back into the green room, to get the girls' stroller, as he was walking out, Deval Patrick, the Governor of Massachusetts, approached him, with tears in his eyes, shook his hand, and said "great job out there, your family is amazing." 9. After gathering our things, we walked down a long hall and were escorted to a series of tables that contained 25 commemorative DNC posters. Each speaker is asked to sign the posters. After I was asked to sign, my first thought, was are you sure you want me to sign these? It was a bizzare and extremely humbling experience, particularly with many of the names that were already signed to the posters. I'm not sure what they do with the posters, but I signed all 25. 10. After signing, we were navigated via my "speaker tracker" through a maze of back stage hallways and guided up to a suite, to watch the remainder of the opening night of the convention. From the suite, we watched Julian Castro, the mayor of San Antonio, TX, deliver the Keynote speech and Michelle Obama deliver her speech to close out Tuesday night. While in the suite, Nancy Pelosi and her daughter, Alexandra, who were in the neighboring suite, both shook my hand and complimented me on my speech. After his Keynote speech, Julian Castro entered the suite and shook Caleb's hand and told him we did a great job. 11. After Michelle Obama's fantastic speech, a quick interview with USA Today and the close of night 1 of the convention, we were guided out of the arena. As we made our way through the huge crowd, which wasn't easy with a double stroller, we were stopped by numerous convention attendees, congratulating me on my speech and/or said we did a great job and have a great family. The positive reaction caught Caleb and I off guard; it was both humbling and rewarding, and validating to know that the speech had such an impact. 12. Once outside the arena, we had to navigate the thousands of convention goers, also walking the streets of Uptown Charlotte. While walking away from the arena, people continued to stop Caleb and I and congratulate us on our journey. It was almost overwhelming. One woman ran up to me and yelled "You're trending on Twitter!" 13. I also met countless strangers, who after seeing my speech, told me, with tears in their eyes, of their children's CHD stories, including a campaign staffer and an AEW union official. 14. While enjoying our midnight walk through Charlotte, Zoe, understandably, started getting fussy. In an effort to distract her, Caleb put her up on his shoulders. After a block or two of Zoe getting a bird's eye view of the crowd, we heard someone jogging, almost out of breath come up behind us and stop us. He introduced himself as Greg Stanton, the mayor of Phoenix. "I'm your mayor!" He complimented me on my speech and wanted to take a picture with our family. 16. While reading the literally hundreds of emails I received, I was touched and brought to tears by so many of them. One email was from a man who said his family had never seen him cry, ever. During my speech, he started crying and he thanked me for helping him show his family a different side of him. I heard many stories as emotionally impactful as this one. I am slowly doing my best to respond to all of the emails. 17. After a few hours of sleep, we woke up Wednesday morning to find countless media reports and photos of our family in publications including USA Today, The Guardian, New York Times, Huffington Post and others. Very surreal. 18. Wednesday morning, I received calls from MSNBC, a local Phoenix news station and Glamour Magazine, all requesting interviews. As long as I can talk about CHDs, I'll give interviews all day. Doing a satellite interview, at the convention site, with Channel 12 in Phoenix. 19. One of the most surreal moments, for me, was the invitation to sit in First Lady, Michelle Obama's suite Wednesday night during Bill Clinton's speech. Um, yes! 20. I received a congratulatory email from one of the speechwriters I worked with. He told me that after my speech, as we were walking offstage, the back of the arena was chanting "Zoe! Zoe! Zoe!" while giving us a standing ovation. How awesome is that!? 21. Wednesday night, I nervously went to the second night of the convention, knowing I was sitting in Michelle Obama's suite. I felt slightly out of place navigating through secret servicemen, but after a glass of wine, I was just fine! 22. The seats were assigned in the First Lady's suite. After glancing at the various name placards, I saw my suite mates, in addition to Michelle Obama, included Julian Castro and his twin brother, Kathleen Sebelius, John Estrada, Lily Ledbetter, US Congressman John Lewis and, in the next suite over, VP Joe and Jill Biden! View from Michelle Obama's suite. President Clinton delivering perhaps the best speech of his career. 23. While in the suite, I realized I had to go to the bathroom. I made my way to the suite door, and discovered several secret service agents standing in front of it. So, I kindly asked them where the bathroom was, they slowly stepped to the side and pointed. This brief interaction made me realize the enormity of the situation, and how strange life in politics is. 24. After sitting in the suite for a bit, Michelle Obama made her way in. Her Chief of Staff introduced me to the First Lady. Michelle Obama immediately embraced me, then took both my hands and told me how inspiring and wonderful my speech was; she told me that "we" (I assume she and Barack) talk about the importance of eliminating lifetime caps quite often and how our story is truly inspiring and perfectly illustrates the importance of their work. Wow, just wow!! To say it was difficult getting to sleep Wednesday night would be an understatement. Even Zoe stayed up until 3 a.m. bouncing off the walls! 25. On Thursday, the third and final day of the convention, we picked up our convention credentials and planned to get to the arena early to meet up with Sierra and Andy - the talented producer and videographer who we originally met in January of 2012 when filming Faces of Change: Life Without Limits. Even though they were only at our house a few days, when they left we felt like family was leaving. We've kept in touch with them since then, but were very excited to see them in person again. The girls were excited too. We love you Sierra and Andy! Sierra got to hold Lambsie. 26. After letting Sierra and Andy get back to work, we found some seats and settled in for the final night of the convention, excited to listen to Barack Obama address the nation. We knew it would be a long night for the girls, since we sat down at 5:00 p.m. and President Obama wasn't scheduled to speak until 10:15 p.m. Fortunately, James Taylor lulliby'd Zoe to sleep for an hour-long nap. The girls did great and seemed to be soaking up the atmosphere. Then, it happened. President Obama, in his speech, said: "You're the reason there's a little girl with a heart disorder in Phoenix who will get the surgery she needs because an insurance company can't limit her coverage." What a fantastic moment, to hear him refer to Zoe, not by name, but it was unequivocal who he was talking about. He continued to refer to her on the campaign trail, the days following, in Iowa and Florida. It is so awesome that Zoe is helping to make the world a better place and do her part to better healthcare for families with sick children. 27. Following President Obama's speech, we made our way out of the arena, still in a daze from President Obama referring to Zoe. On the way out, we were stopped by many convention attendees who wanted to take pictures of our family or with our family. What an honor! Oh, and I got a good chuckle that I "look much taller on stage." 28. When we arrived home Friday evening, while watching the Daily Show, we saw Jon Stewart discussing Obama's speech Thursday night. He talked about the portion of the speech where Obama gives the public credit for making a difference. Then, after playing the clip where Obama refers to Zoe, the camera flashes back to Jon Stewart, who in a sarcastic tone, says "You're welcome!?" We love the Daily Show, so it was pretty cool to have him include the subtle reference to Zoe. As amazing as the whole week in Charlotte was, and how surreal the whole experience was, the most inspiring and monumental part of this entire experience was delivering the message of the importance of Obamacare to a large audience and raising awareness, to the general public of the prevalence of congenital heart defects. It was such an honor to learn afterwards the effect and impact of the speech. Hopefully, last week's events brings us closer to two of my biggest wishes - that one day no families will have to deal with congenital heart defects, as there will be a cure, and that one day every American will have access to adequate healthcare. Thank you all for your love and inspiration. Thank you to those who support me and my message, even if they sit on the "other side of the aisle." Today, my little baby girl started preschool. The past four years have flown by so very fast. Before I had children, I always heard people say "kids grow up so fast." I never realized the full impact of that statement until today. As we hustled to get Emmy out the door this morning (and Zoe ready for Papa's house), I made sure to get a few pictures of Emmy on her first day of school. This year, Emmy is attending a Montessori school that focuses heavily on science - Black Mountain Science Academy - where much of the focus is on microbiology. With Emmy's love of Doc McStuffins and her fascination with Zoe's constant doctor visits, perhaps this'll prime her well for medical school. Who knows, maybe both Emmy and Zoe will go to medical school. Don't think it's possible for Zoe? Think again - check out this amazing story of Tom Glenn, shared by his mom, Terri, who lives in Chandler, Arizona! Of course, as soon as I picked up Emmy today after work, I asked her to tell me three things about her day. I figured I wasn't going to get much when she stared at me blankly and said, "Uuummm..."
1. Emmy played with her new friends Abigail and Maddie. 2. Emmy went to the playground. 4. Emmy did not eat all of her goldfish at lunch. 5. Emmy learned "criss-cross applesauce" but is unsure why. 6. Emmy lost her sandwich container. 7. Emmy did not "pee on the potty" because her teacher didn't tell her to. 8. She did not see Arik. So yes, she may be in preschool, but she's also apparently doubling as an Obama campaign staffer. We'll see how tomorrow goes - so far, so good! While all four of us were sick on Saturday, fortunately, everyone felt better on Sunday, just in time for the girls' first ever swim lesson. The instructor, Jennifer, came to our house and was very good with the girls. They worked mostly on kicking. Lots of kicking. All started off well, until it was time to go underwater! Admittedly, mommy wasn't too thrilled about this part either. Emmy was more than unhappy; she was terrified. Her (very experienced) swim instructor convinced me that all of this is normal with new swimmers and kids don't like water in their ears, etc. (who does?) But all that ran through my mind is the Oprah episode about dry drownings... anxiety much?! 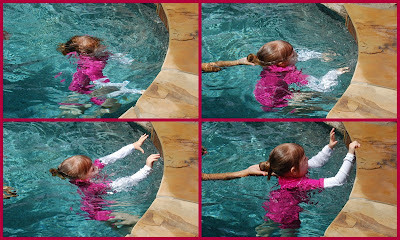 Emmy's underwater trial by fire; she kicked herself up and grabbed the side, as instructed. Zoe really showed off her strength during swim lessons and practically scaled the wall to climb out of the pool. Swim instruction definitely counts towards good aerobic activity! Even though the girls were not so thrilled with their first immersion class, we're hoping next week will be a little easier. To top off the weekend, we did some wall hangings in anticipation of the many items Emmy will be bringing home from preschool. Yep, 1/2 day, 5 days a week preschool starts next week! To get Emmy in the spirit, we prepared a wall in her playroom so she could show off her goods. Of course, while we attempted to finish up the project, Zoe was less than helpful... this girl tried to scale the walls all weekend! Perhaps she was just showing off - she wanted everyone to know that she wasn't going to let a little cold keep her down. On May 11, 2010, our family grew from three to four. Our little miracle child, Zoe Madison, entered the world. She was born with a severe congenital heart defect, Hypoplastic Left Heart Syndrome. Fifteen hours after birth, Zoe underwent her first open heart surgery. 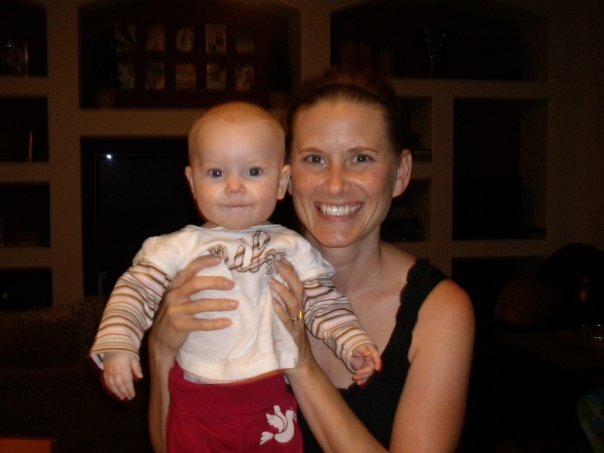 Her second open heart surgery took place on September 14, 2010. And her final staged cardiac reconstruction in August of 2013. She has half a functioning heart, which was mended by Dr. Thomas Spray at the Children's Hospital of Philadelphia. Yes, we traveled over 2,000 miles to obtain the best possible care. As small and young as she is, Zoe is the new foundation to our family. She gives us strength and reminds us, everyday, how precious life is. Please join us and share in our journey. I'm certain Zoe will continue to inspire you, as she has us and hundreds of lives already. 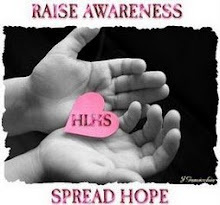 Facing a New Diagnosis of HLHS? Click below to find HOPE! Re-posting an old story of our journey... needs updating... for sure!! !